Enjoy the Great Outdoors with Family and Friends by Adding Outdoor Features that Enhance your Outdoor Living Space Making it a Season Round, Favorite Destination. 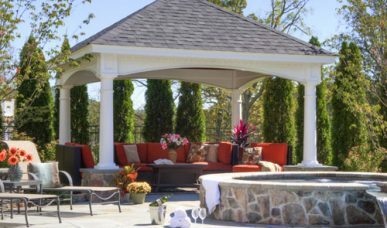 Gazebos – escape the elements and embrace tranquility with a customized maintenance free gazebo. Pergolas and Patio Pavilions – to provide architectural interest in outdoor entertainment areas. 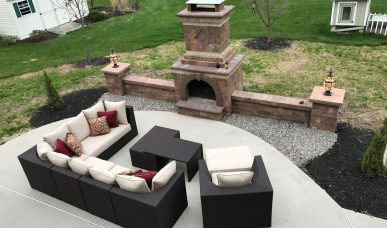 Outdoor fireplace & fire pits to gather families and friends together to have fun and make cozy memories. 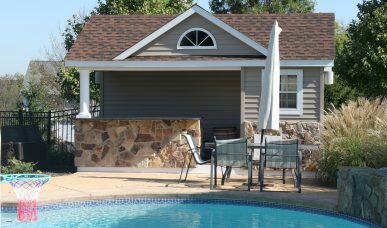 Pool Houses- we offer custom pool houses and pool sheds to perfectly compliment your pool. Outdoor Water Fountain to provide relaxation with the soothing sound of flowing water. 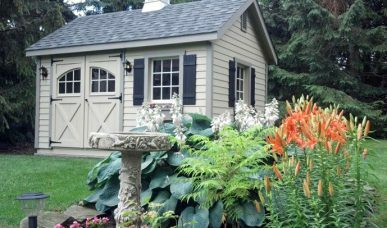 Sheds and Garages – Expand your storage space in style and function with a custom designed and quality built garden shed or garage solution. R&R Caddick use high quality construction, excellent service and installation by our team. Your complete satisfaction is our top priority. 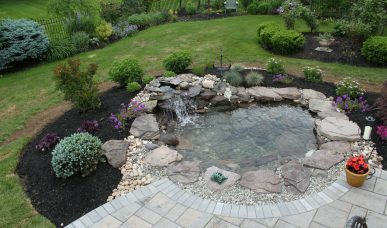 Contact us today to start on your ultimate backyard project! Enjoy sipping warm apple cider on a crisp fall night, while watching the sparks of the fire from your own enchanting outdoor brick fireplace. A permanent gazebo is a delightful addition to your landscape, perfect to keep you shaded from the sun and enjoy your garden views. Get organized and expand your storage and work space with custom fabricated Amish sheds and garages designed to your specifications. 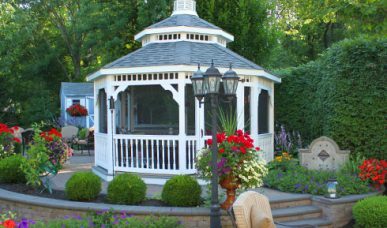 Take your Backyard Beyond the Ordinary and Make a Statement with a Custom Pergola or Backyard Pavilion. There’s simply nothing quite like a decorative outdoor water fountain to create a peaceful and tranquil atmosphere for outdoor living.